Description: This is a reboot of the classic riffing series that was originally funded by a Kickstarter campaign started by series creator Joel Hodgson. Netflix has picked up the series and will stream it late 2016 and or early 2017. 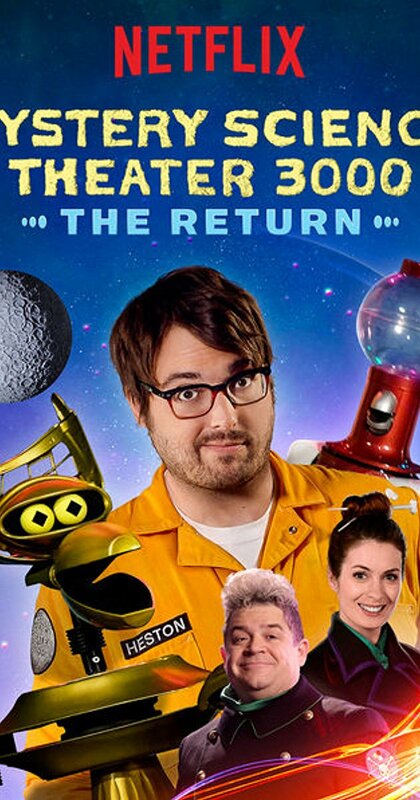 The series will have a new cast that will include Jonah Ray, Felicia Day, and Patton Oswalt. Status: Netflix has renewed this show for a second revival season that will stream in 2018. More on that at this link.